A stunning ring for a lovely lady. 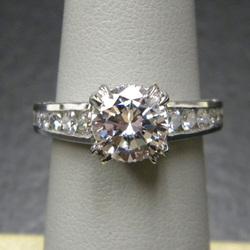 This ring is one of my personal favorites. 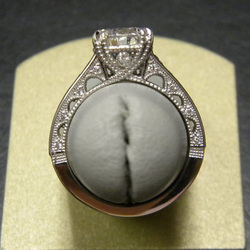 The detail is present on every part of the ring; even the prongs have detail when viewed from the side. I was so happy to meet this couple and share in their happiness. Enjoy!